Based in Talangana, India, we are involved in supplying and exporting high quality Castor Seeds. We offer a quality assured range of Castor Seeds that is sourced from seasoned farmers who cultivate them organically. We can be counted on for delivering Castor Seeds to customers at very reasonable rates. 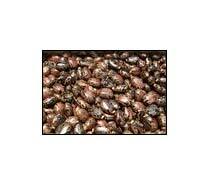 We are capable of providing any quantity of Castor Seeds to customer with a commitment of timely delivery.